Planning to install a swimming pool in your backyard? Swimming pools in your backyard are like a dream-come-true for many. It adds an amazing place for recreation and relaxation that is right there in your house. The summer days just get a lot better when you don’t have to drive to go for a swim. All you need to do is go into your backyard and you will have your personal swimming pool where you and your family can relax in private. While there are plenty of things to consider before you embark on the idea and install a swimming pool in your house, the first thing that comes to your mind is “how much does a pool cost?”. This is not a simple question to answer as the swimming pool cost depends on a number of things. There is an average swimming pool cost and then come the extras that can range from a few hundreds to thousands of dollars. It all depends on how much you are ready to spend on the swimming pool. An inground swimming pool is an investment in recreation and fun. As is the case with any other investment, a smart purchaser will want to know an estimated overall cost that is going to affect the price of this investment. Take our most common pool for example, the 8.2 X-Trainer Swimming Pool can be installed in around $35,000 along with filtration equipment and pool lights. But, there are many people who are willing to spend as much as $50,000 on their pools to add additional features such as the vantage self-cleaning system, pool covers, and heat pumps. The final cost of the swimming pool will depend on the features you want to add to it. However, there are some factors that can give you a rough idea about the estimated cost of your swimming pool. Let us discuss them to help you get an estimate of the pool price you will be paying if you decide to install a pool in your backyard. Here are the factors that can influence the cost of your swimming pool. The most common factor, as many of you would’ve expected, to increase the overall cost of your swimming pool is its size. As the size of the swimming pool increases, so does the cost of the additional materials required to build the pool and the work onsite. The soil removal and excavation costs of building the pool in your backyard will increase. To be on the safe side, you will have to add additional $3,000 to $5,000 to your swimming pool budget when you are upgrading from one pool size to the next. This is one of the reasons of the increased popularity of our Plunge Pools over the years. If you are trying to minimise the cost to build a pool in your backyard, a flat area of your backyard will make the best site. It will minimise the ground work that needs to be done to create the ideal pool scape. 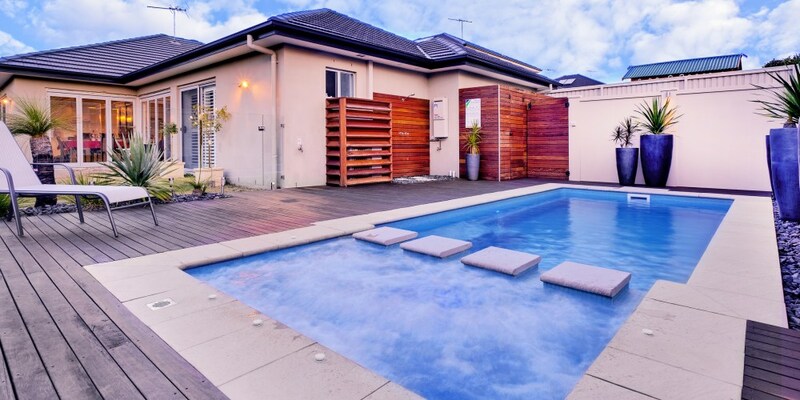 Until a few years ago, fibreglass pools were only available for flat sites. However, with the invention of Maxi Rib Technology, you can put a Compass Fibreglass pool at any site, from rooftops to hillsides etc. A Maxi Rib Pool is a much cheaper option than a complex-engineered concrete pool. It can help you save pool cost by thousands of dollars. It also allows building infinity edge swimming pools that are one of the best swimming pools we currently have. Installation of swimming pools in your premises is not a difficult job for professionals if they are able to get machinery onto the site easily. While it will not cost you too much to pay in situations where the access to the pool side is limited, but it will definitely add to the pool costs a little. The job will become a little harder for the pool diggers and soil removal trucks if the access to your backyard isn’t that easy. The easier it is to get machinery to the site, the lower the costs and vice versa. On the other hand, if the job requires specialist equipment, it will add to the total cost of the project. While the soil in most backyards so pretty fine that it allows for an easy swimming pool installation, there are some cases where some extra work might be required. Thus, if your backyard has soft or reactive soils, high water table or rock beneath the surface, it will require extra work and will increase the overall cost of installing a swimming pool in your backyard. It is best to pass on any information you might have regarding the soil in your backyard to the professionals to ensure there are no surprises later on that further increase the pool cost. 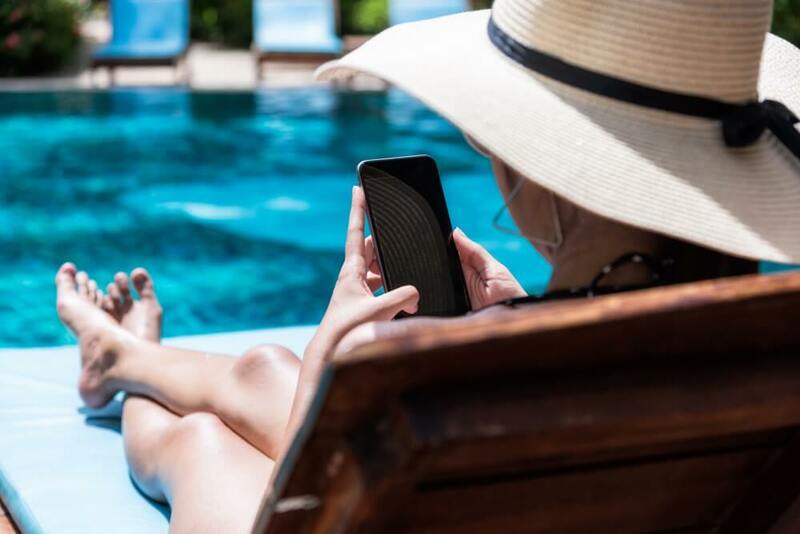 One of the most important decisions to make when deciding on which pool to install in your backyard is the operating system. The operating system determines how you are going to look after the water in your pool. The most commonly used circulation systems for swimming pools consist of the eye ball and skimmer system. Not only does this system require more power, it also requires additional chemicals and extra maintenance. This is because this system only works on the top layers of the pool with no effects deep down. Thus, the bottom layers become filthy with dirt, bacteria, and fungus. Thus, the water becomes unhealthy to swim in. On the other hand, advanced systems such as Vantage Cleaning and Circulation Systems, takes away all the hard work that needs to be done in pool cleaning. It not only self-cleans but also prevents the growth of bacteria and algae in the pool. Thus, the pool remains clean. Another such advanced cleaning system is the Logic System that also prevents the growth of germs, algae and bacteria and keeps the water in the pool clean and refreshing. While these advanced systems will require an initial investment, but they will save you a lot of time and money in the long run. Thus, they make a good investment when you are planning to build a swimming pool in your backyard. Many people think that all fibreglass pools are made the same way. However, in reality, there is a huge difference in the fibreglass pools of one brand and another. Thus, the swimming pools constructed with a more expensive pool shell is going to cost you more for this reason. If you are opting for a more resilient and reliable resin, you will be paying about 2-3 times more money than the standards swimming pool. Other additional technology, such as Compass Ceramic Core, will also add to the overall pool price but is a good investment if you want to enjoy peace of mind in the long run. Another factor that adds to the overall cost of the project is the finish you decide for your pool. The most inexpensive finish is concrete that leads to a fully-tiled pool. You can also opt for other finishes, but keep in mind that this will add to the swimming pool cost. It depends on the aesthetics and the look you want to give to your pool. The more money you put it, the better the landscape around the pool is going to look. Whatever finish you choose is going to affect the durability and resale value of the pool as well. There is a wide variety of additional pool accessories that can be added to your pool package. This includes everything from heat pumps to programmable LED lights, water features to other aesthetics etc. 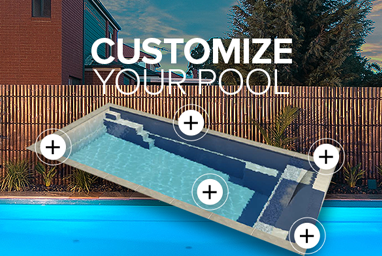 The options are endless today when it comes to additional features and accessories to be added to your swimming pool. The more features you want in your pool, the higher the cost will be. While there are some things that are necessary for the proper functioning of your pool, such as the cleaning system, you can cut back on the overall cost by reducing the amount of extra features and accessories to be installed in your pool. Another additional cost when it comes to the overall pool price is the cost of fencing. It is very important to have a fence around your swimming pool especially when you have kids in the house. The fence forms a barrier between the kids and the pool and can prevent major accidents. The amount of footage and the type of fencing must also be taken into account when calculating the overall cost of the pool. Two things come under the quality of construction: the materials used in the construction of the swimming pool and the level of craftsmanship that goes into creating the perfect pool. Depending on the professionalism and proficiency of the company you have chosen to construct you swimming pool, the end results can finish sooner, function better, look better and last longer as compared to the construction done by an amateur company. However, the more expert the company is, the more they will charge you for the construction. But, this is worth the cost as you will not have to pay any repair costs for a long time because the work will be done to perfection. If you have had experts to come and install your pool, you will not require maintenance for a long time. However, your pool will require regular maintenance when it comes to debris removal, pH balance testing, cleaning, skimming, vacuuming, leak detection, heater maintenance, shocking the pool, reopening, monitoring water levels etc. All of this should also be added to the overall pool cost when you are making a rough estimate of how much does a pool cost. The best way to get a clear understanding of how much a pool is going to cost you, you need to meet with a professional pool consultant. They will come and visit the site of pool and will discuss all your plans about the pool thoroughly. The meetings will involve discussions on what is important for you in the long run. 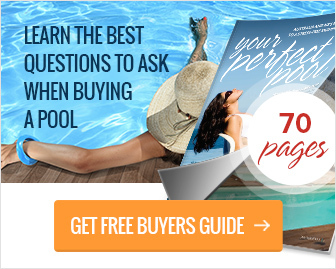 They will recommend the best options you have once they get a clear understanding of what you want in your pool. You can then decide on the various options as they work best for you. The professionals will then give you a quote that can help you in the budgeting process. 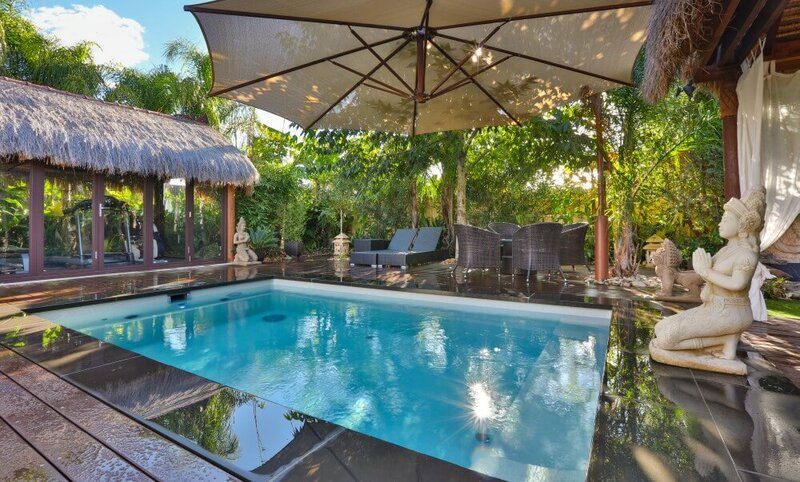 Are you looking for highly professional and experienced pool consultants to visit your home? 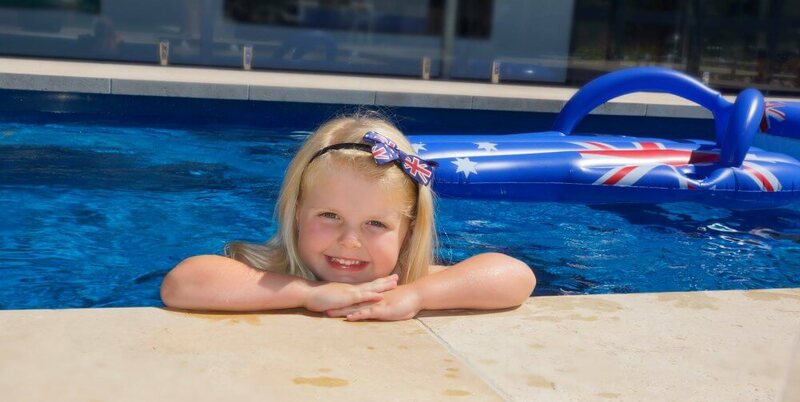 Get in touch with us by calling 1300 996 616 or requesting a free pool quote. At Compass PooL Centre Newcastle, we have years of experience in pool installations and maintenance. We can help you install a well-built pool in your backyard done by experts and as per the standards to follow under the law. With our experts by your side, you won’t have to worry about anything at all. With years of experience and expert professionals by our side, we can help you reduce your swimming pool cost while increasing the return on pool investment at the same time. We take care of your pools the professional way. We will help you choose the best pool option for your homes that will increase the return on pool investment, as well as increase the value of your property.